The path to the Convent can be rather circuitous. 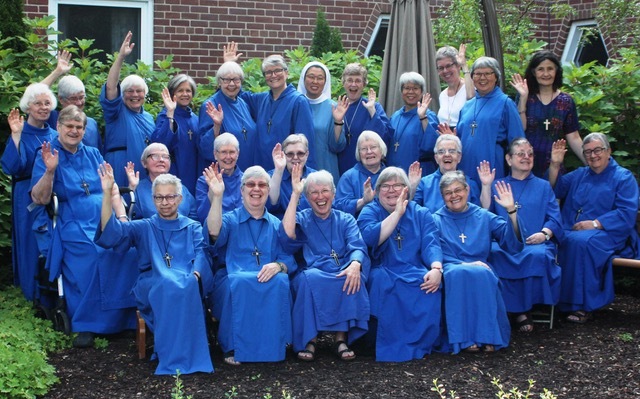 Although a cradle Anglican, like many others Sr. Helen Claire didn’t know Anglican convents existed until the 1980’s. “I grew up in Kingston, Jamaica, towards the end of the colonial era. I had an idyllic childhood in a gentler time and place”. After graduating from the University of the West Indies in Spanish and economics, she worked with the tourist board for two years then emigrated in 1970 to Toronto, “the city I know best and loves,” she says. “I’ve been here ever since, except for a year in Paris to try and learn French and a year at our branch house in Montreal”. Months and travels went by and then she returned for a retreat and realized “why my job-hunting had been half-hearted.” Entering in 1998 at age 54, Sr. Helen Claire has worked mainly in the Associate Office and Guest House. 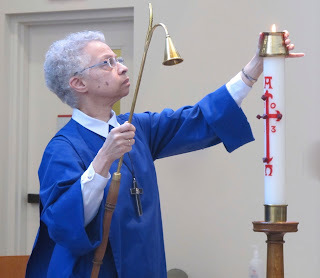 She also had an assignment as sacristan in the chapel that she said suited her as she preferred to work in the background and was good at details.